The prize is awarded annually to “individuals who are currently active in their respective fields and who have recently achieved distinguished and significant advances, who have made outstanding contributions in academic and scientific research or applications, or who in other domains have achieved excellence”. The two joint winners this year, Kollár and Voisin, are both professors of algebraic geometry, at Princeton and Collège de France respectively, and have made major contributions to the effort to characterise rational varieties – solution sets of polynomials which differ from a projective space only by a low-dimensional subset. Kollár’s work relates to the Minimal Model Program, which concerns moduli of higher-dimensional varieties – spaces whose points represent equivalence classes of varieties. These spaces, which Kollár has extensively worked on and developed the field dramatically, have applications in topology, combinatorics and physics. Voisin’s achievements have included solving the Kodaira problem (on complex projective manifolds), developing a technique for showing that a variety is not rational, and even finding a counterexample to an extension of the Hodge conjecture (one of the Clay prize problems), which rules out several approaches to the main conjecture. It’s not only actors who get shiny awards around this time of year – mathematicians are in on it too! There have been a few medals, gongs and otherwise prizes awarded to some terrifically clever people in the past month or so, so I thought I’d do a round-up of the ones I’m aware of. 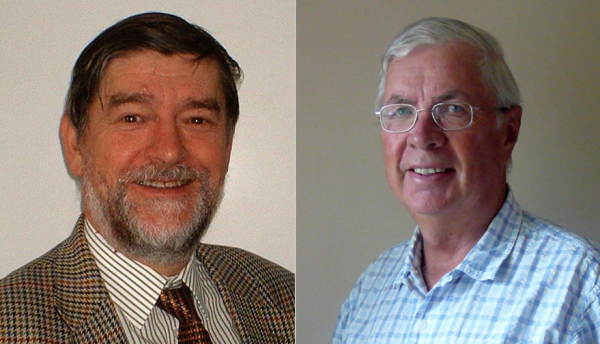 Edmund Robertson & John O’Connor of the University of St. Andrews have been honoured by the London Mathematical Society for their pioneering MacTutor History of Mathematics website hosted at St. Andrews. On 3rd July it was announced that both men have received the Hirst Prize, and Edmund Robertson has been been invited to give the associated Hirst Lectureship, all part of LMS 150th Anniversary celebrations. 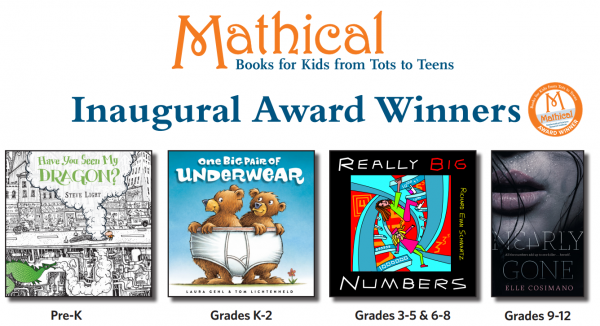 US organisations the Mathematical Sciences Research Institute (MSRI) and the Children’s Book Council (CBC) have founded a youth book prize, called Mathical: Books for Kids from Tots to Teens. The prizes, awarded for the first time this year, recognise the most inspiring maths-related fiction and nonfiction books aimed at young people. This year, they’ve awarded a set of prizes for books released in 2014, as well as honouring books published been 2009 and 2014, plus two ‘hall of fame’ winners from the further past. As mentioned previously, the Encyclopedia of Integer Sequences is 50 this year. To celebrate that fact, and to encourage readers to concentrate on filling in the gaps in the missing entries instead of just adding new ones, there’s a \$1,000 prize for the best solution to an open problem posed in an OEIS entry. 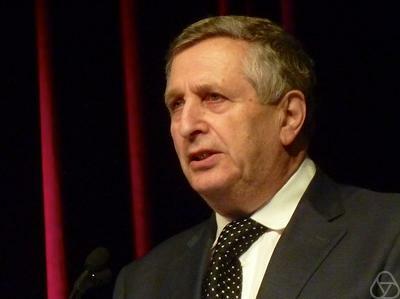 The Abel Prize for 2014 has gone to Yakov Sinai of Princeton University, “for his fundamental contributions to dynamical systems, ergodic theory, and mathematical physics”.